LeVar Burton Was My First Black Friend | Where's My Eraser? You might say that LeVar Burton is one of the first black people I ever met. And that’s exactly how the producers and executives at PBS wanted it. I grew up in a very white bread town in Northern Michigan. With the exception of a handful of Native American residents whose families lived on that land long before the voyageurs ever showed up, the vast majority of folks in that town and for hundreds of miles around were white. Despite that, I still felt like I knew people who looked and lived differently than I did, and that was mostly thanks to public television. About 18 months ago, I had the amazing opportunity to attend a small lecture given by LeVar Burton. As someone who grew up watching Reading Rainbow (and Star Trek with my nerdy dad), that lecture was as cool as it gets. The lecture was at a theater school, so naturally most of the kids wanted to know how they might get their careers started in acting. Burton was happy to answer their questions. However, he was just as excited to talk about the roles he has played throughout his career and why he chose them. His passion for sharing stories of diverse and underrepresented people is obvious. He famously got his start when he played Kunta Kinte in the 1977 miniseries adaptation of Alex Haley’s epic Roots. That role launched his career, and he traveled the world after its release educating people about the film and the history behind it. It wasn’t just a gig for him. It was an opportunity to portray the horrors of oppression and the possibility of triumph over them. Of course, I didn’t watch Roots until I was an adult. Burton and I became friends through Reading Rainbow. His show is filled with Video Field Trips, where viewers get to learn about everyday things like money and recycling, timeless places like the Tomb of the Unknown Soldier, and amazing technological advancements like the Mars Curiosity Rover. There’s also the Kid Book Review, where children themselves introduce books to viewers and have a conversation with them as friends. And then there’s the star-studded guest readers and contributors, which have included names like Maya Angelou, Phyllis Diller, Lena Horne, Jane Goodall, Maya Lin, and Josie de Guzman. Chances are, the kids watching the program have no idea who these people are, viewing them as just some friendly faces who love books and love talking about them. And that’s a big part of the charm of the show. Burton and the producers at PBS aren’t just attempting to convince children that reading is fun and cool. From the very first episode, Reading Rainbow has been about bringing diversity into the lives of children. I had heard that early programming at PBS had been developed with the intention of exposing an audience of white suburban children to those living in urban areas where people of many different backgrounds, interests, and abilities happily coexisted. I asked Burton during the lecture if he agreed that this was PBS’ vision and if he felt he had been a part of it. He overwhelmingly agreed and added that programming had also been targeted at children living in rural areas who didn’t get to experience urban life on a daily basis. That’s exactly the kind of kid that I was. And we should also remember that children of color and children with different abilities get to see faces like theirs on the show through characters in the books and the people who present them. As a kid who grew up watching the original Star Trek series, with its diverse cast of actors and characters, Burton spoke about how important it is for minority kids to see people of color on the screen and know that someday, they themselves can have any career they want, including being on television. He said that watching that show as a child was a strong motivator for him to play both a person of color and a person with a disability on Star Trek: The Next Generation. Through shows like Reading Rainbow, even more kids can be inspired to pursue their dreams. Now, Burton and a team of collaborators are busy updating that vision for the 21st century through educational technologies. The Reading Rainbow app, which includes thousands of books and hundreds of Video Field Trips, is the #1 educational app for children. The team’s newest technological venture is going to be on an even bigger scale. Yesterday, Reading Rainbow announced a Kickstarter campaign to develop an online version of Reading Rainbow in addition to a classroom version complete with teacher resources. Most importantly, this campaign aims to give free access to the most under-resourced classrooms around the country. 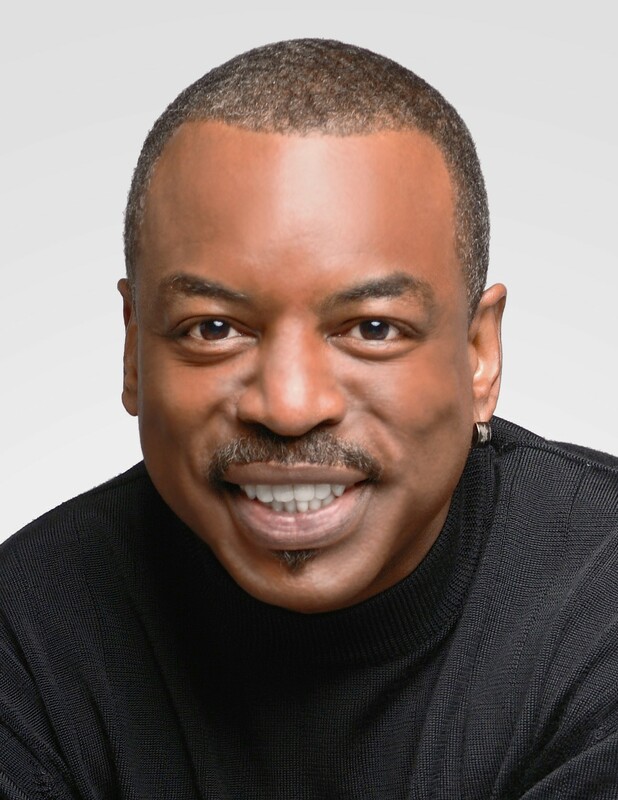 Reading Rainbow is about interaction between those on screen and those watching at home. It’s about building relationships between different types of people, and it all happens through a love of books. Through modern educational technologies, LeVar Burton–and the kids who watch him–are about to make a lot more friends. If you would like to learn more about Reading Rainbow’s Kickstarter campaign or donate, follow this link. This entry was posted in Elementary Education, Libraries, News & Media, Teaching and tagged books, edtech, Education, Kickstarter, LeVar Burton, literacy, PBS, Reading Rainbow on May 29, 2014 by Chris Thelen.